Halloween is always an exciting time of year, but in order to ensure your dogs and cats remain safe, there are a few special considerations you should keep in mind. 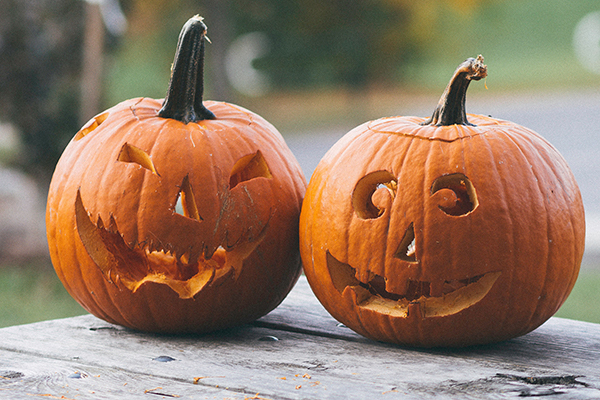 We've compiled this helpful list Halloween safety tips to help keep your furry friends comfortable this year. Costumes can be fun for the whole family. 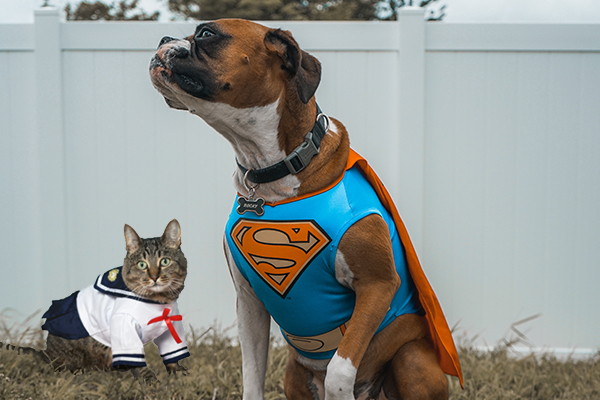 If you are planning on dressing up your best bud, ensure that the costume fits well and isn't going to slip and tangle the pet or cause a choking hazard if chewed on. It's important to never leave a costumed pet unattended in case they become overly stressed, caught, twisted, or other negative reaction. Don't procrastinate on a pet costume. It's never a good idea to spring a costume on your animal at the last minute because encountering an improper fit or not allowing your dog or cat time to warm up to the idea can lead to stress. Instead, buy their costume in advance and try it on well before the holidays. If your pet doesn't appreciate the extra layers, opt for a Halloween-themed collar instead! Kids love to stash candy in their rooms, but a dog's keen sense of smell will lead him to even the most cleverly hidden treasure. Contact your veterinarian right away if your pet does get into Halloween candy, especially if it contains chocolate or is sugar-free and contains xylitol. Don't leave glow sticks lying around. 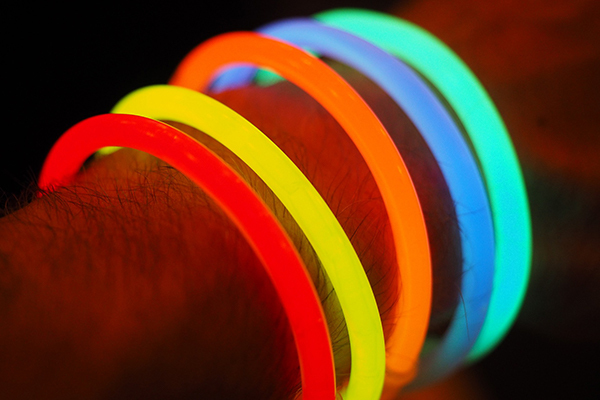 Glow sticks are used to help keep kids safe while they are out in the dark. Pets (especially cats) find these glow sticks to be a lot of fun as well, and we commonly get calls about pets puncturing the sticks. While most of them are labeled as non-toxic, they do have an extremely bitter taste and we will often see pets who bite into them drooling and racing around the house. A little treat or sip of milk will usually stop the taste reaction. Keep your pet identified and visible. There are a lot of extra people on the streets at Halloween, and that combined with strange costumes can spook pets and cause them to bolt. If you take your pet out after dark, make sure he or she wears a reflective collar and is securely leashed. And make sure your pet has proper identification on the collar. Many pet owners today have their four-legged friends microchipped for an additional level of security. Even pets kept indoors may experience intense anxiety over the large number of strangely dressed visitors. If your dog or cat becomes visibly stressed with door bell rings, spooky costumes, or going door to door themselves, it's time to remove them from the situation and calm them down. Keeping your pet away from trick-or-treaters may do the trick, but if you think more will be needed be sure and speak with your vet well in advance about options to help calm your pet. Limiting your canine or feline's time wearing their costume is also recommended. Be sure to consult Delavan Lakes Veterinary Clinic for any questions or concerns you may have about your pet's health & wellness this Halloween. Simply reach out online or give us a call at 262.728.8622.